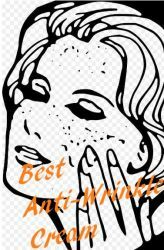 There's a lot of choice when looking for an anti wrinkle cream or maybe you want best anti aging face serum. It may give you an indication about differences between these products, of which some contain vitamin C. And how about this vitamin for your skin. Hyaluronic Acid products are recommended for skin hydration, skin elasticity and skin structure. Images below may lead to webpages for more information, or to Amazon where you can read through the reviews which is quite informative. According to the company, its popular product features a plant based formula, which is free of synthetic color additives, fragrance, stabilizers, parabens and gluten. It contains dynamic active botanicals like Aloe Vera, MSM(Methylsulfonylmethane is naturally occurring sulfur found in plants), Botanical Hyaluronic Acid (5%), Witch Hazel and organic Jojoba oil combined in a silky smooth serum that can be used day or night. It works by increasing collagen and suppressing melanin, so resulting in a more youthful complexion. The product also features UV protection through vitamin C, which is a powerful antioxidant helping to fight free radical damage from sun exposure. The type of vitamin C - 20% - used in this TruSkin product is Sodium Ascorbyl Phosphate (SAP), one of the most bio-available and stable vitamin C.
Topical application of vitamin C appears to be an effective route for delivering ascorbic acid to the skin, concludes Oregon State University in an article about Vitamin C and Skin Health. - After cleansing and exfoliating your skin, pat it dry. - Apply a thin layer of serum (just a few drops), let it dry (absorbs very quickly) and then moisturize your skin. As skins absorb differently, some might need a bit more serum. For best results - within a few days up to three weeks - the company recommends applying the its serum under moisturizer in the moring as well as evening. For this TruSkin Naturals Vitamin C Serum, see Amazon Here for best pricing, info and reviews. There's also the M3 naturals Premium Vitamin C serum which is about $4 less per 30ml-bottle than the one from TruSkin, however the latter is way more popular among users. This pure Hyaluronic acid serum, meant for day and night, revitalizes your skin. It is safe for sensitive skin and hypoallergenic. This product contains 100% pure hyaluronic acid at a concentration of 1%, which is highly effective for penetrating your skin's surface to deeply hydrate. A study evaluating the efficacy of hyaluronic acid showed that the skin was significantly more hydrated, that there was improvement of skin elasticity, and finer skin structure than untreated skin. Where hyaluronic acid comes from. Hyaluronic acid in this product is formed from microbial fermentation of sugars, says the company. For this Hyaluronic Acid Serum, see Amazon Here for best pricing, info and reviews. - This serum brings vitamins and nutrients through four layers of skin. - Maximizes the anti-aging benefits, by adding Jojoba and Vitamin E to promote collagen production and smooth fine lines. - Fades brown spots and brightens the complexion for true radiance by adding Witch Hazel. You can apply this serum in the morning or night, or both. Organic Aloe Barbadensis Leaf (Aloe), Cassia Angustifolia Seed Polysaccharide (botanical hyaluronic acid), Hamamelis Virginiana (Witch Hazel), Pentylene Glycol, Phospholipids, Retinol, Polysorbate 20, Potassium Phosphate, Hydroxyethyl Cellulose, Carrageenan Gum, Organic Simmondsia Chinensis (Jojoba Oil), Triticum Vulgare (Wheat Germ Oil), Tocopheryl Acetate (Vitamin E), Organic Camellia Sinensis (Green Tea), Wildcrafted Resina Propoli (Propolis), Sodium Benzoate, Potassium Sorbate, Ethyl Hexyl Glycerin, Organic Herbal Infusion. For this Retinol Serum, see Amazon Here for best pricing, info and reviews. Eucerin Sensitive Facial Skin Q10 Anti-Wrinkle Sensitive Skin Creme, 1.7 Ounce Jar (Pack of 2). Formulated with Coenzyme Q10, which occurs naturally in the body to defend against the signs of aging. Firms and moisturizes for softer, smoother skin and reduces the look of fine lines and wrinkles. Lotion with SPF 15 provides daily sunburn protection. Fragrance-free, oil-free, and won't clog pores. For this Eucerin Q10 product, see Amazon Here for best pricing, info and reviews. This 2-In-1 Anti-Wrinkle Day Cream + Serum 1.7 Fl Oz. product is a combination of an anti-wrinkle cream and a firming serum, that hydrates to reduce the appearance of fine lines and wrinkles, as well as firm the look of your skin. For this Olay Age Defying 2-In-1 product, see Amazon Here for best pricing, info and reviews. According to the pharmacist, eb5 skin care cream is designed for men and women, seniors and baby boomers alike, who are concerned about aging skin. Containing Vitamins A, E and B5 ingredients in a penetrating and nearly greaseless base, the product helps improve the appearance of face wrinkles, crow's feet, "feather lips", uneven blotches, age spots and dry, sensitive skin. It's like 5 facial treatment creams in one jar 4 oz. For this eb5 Facial Cream, see Amazon Here for best pricing, info and reviews. Hydrating Repair Peptide Wrinkle Cream (Post Peel) - Enhanced with Matrixyl(R) 3000, Argireline(R), Hyaluronic Acid & Natural Botanical Extracts. Revitalizes and Replenishes. Great for Wrinkles, Fine Lines, Rough & Dull Skin, Crow's Feet, Forehead Creases, and Dehydrated skin. Also helps reduce Stretch Marks and Cellulite. For this Hydra Repair Cream, see Amazon Here for best pricing, info and reviews. UltraSpa Anti-Aging Moisturizer can dramatically reduce the appearance of fine lines and wrinkles enhance the skin's natural defenses, says the company. It is a new anti-aging cream arrived from UltraSpa, a widely known skin care supplier. The company states that their new moisturizer really does something about fine lines and wrinkles, it so to speak rejuvenates your skin, and as the supllier describes the moisturizer also revives damaged skin. This skin care product, besides Matrixyl and Hyaluonic acid also contains Vitamin C, is both suitable for men and women. The moisturizer works on wrinkles - in particularly through the ingredient called Pentapeptide. This UltraSpa moisturizer supposed to work well against - as metioned before - wrinkles, fine lines, puffiness under the eyes, crow's feet, sun damage, rough, dull or bland skin, uneven skin tone, texture and dry dehydrated skin. Besides its positive working, users say it has a refreshing smell and a freshly washed feeling. For this UltraSpa Anti-Aging Moisturizer, see Amazon Here for best pricing, info and reviews.